I have always looked for something instead of just a blanket to use to cover my daughters car seat. The car gets very hot especially during the summers months. Living in the desert climate. I always want to make sure its covered when we are not in the car. I love this cover. It’s perfect for the infant car seat. It has hooks that have Velcro to be held up on the carrying bar of the car seat. The cover is very soft. It is made of Chevron material on one side and minky material on the other side. A bonus item for this product is the stroller hook. I just love it. It is so sturdy and strong. It is great for going to the mall or multiple stores near each other. Definitely a necessity for someone who loves to shop or needs to carry multiple bags. 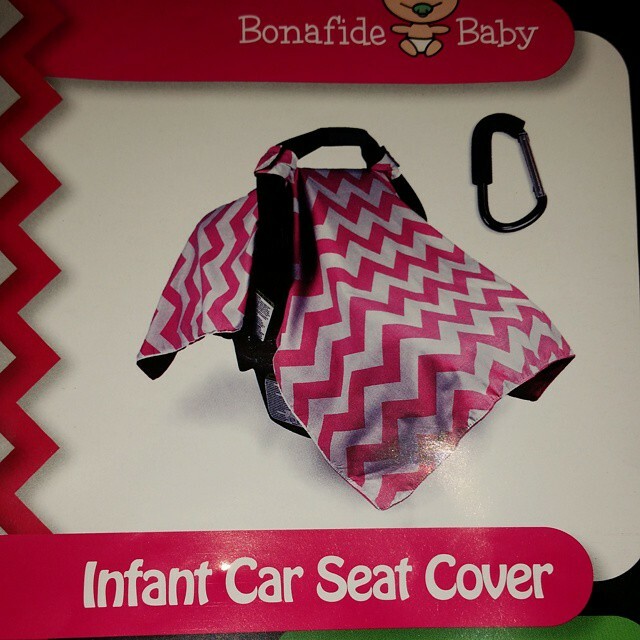 This entry was posted in 2015 Holiday Gift Guide, Reviews and tagged #2015BabyShowerGiftGuide, #2015holidaygiftguide, #babycarseatcover, #holidaygiftguide, #holidaygiftideas, babies, Baby, baby necessities, baby necessity, baby shower, car seat, cover, gift, gift ideas, protect from sun, toddlers. Bookmark the permalink.